Sydney hostage situation: "Cleric" with criminal history held dozen-plus at cafe. 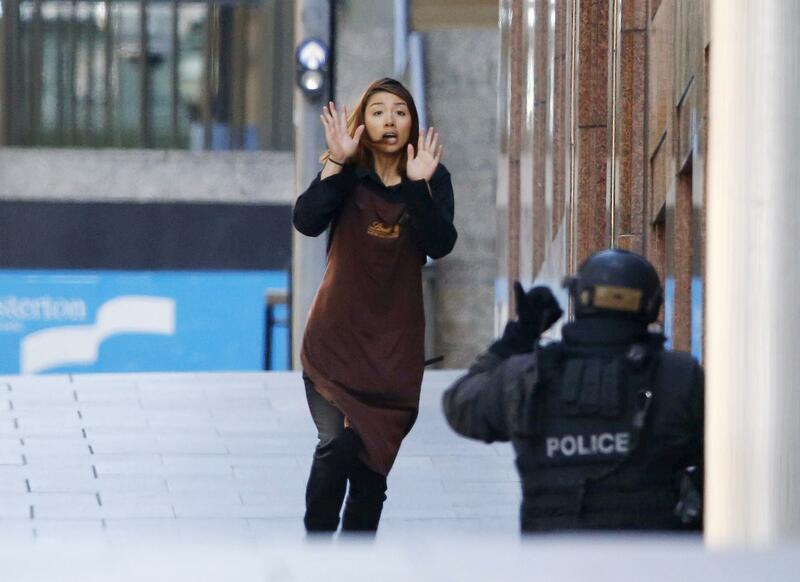 A hostage, apparently an employee of the cafe where others are being held, escapes toward police in Sydney. Update, 2:15 p.m.: Two of Monis’ hostages are dead, police say. Update, 1:20 p.m.: Hostage-taker Man Haron Monis is dead. Update, 12:05 p.m.: Police stormed the cafe in Sydney where a self-declared Muslim cleric was holding hostages, ending a standoff that lasted more than 16 hours. It’s not yet clear whether any individuals were injured or killed, though several were put on stretchers and taken away in ambulances. The police attack on the cafe took place at around 2:30 a.m. local time. Original post, 10:03 a.m.: A self-declared cleric with an apparently extensive criminal past is holding more than a dozen hostages and displaying banners printed with Islamic slogans at a Sydney, Australia, cafe. The alleged hostage-taker, Man Haron Monis, was convicted of sending abusive letters to the families of dead Australian soldiers, is suspected of conspiring to murder his ex-wife, and has been charged with sexual assault for allegedly abusing individuals he met after advertising himself as a spiritual healer. At least five hostages have left the cafe; it’s not clear whether they were released or escaped. No injuries have been reported.